It’s not just any old cinema, it’s magnificently historic and has been in operation since 1912, making it one of the country’s oldest, continually running cinemas. The Curzon Cinema & Arts is only 1 mile away from the Walton Park Hotel, so it’s the ideal place to visit during your stay at our hotel. You could spend an afternoon exploring the delightful Victorian seaside town of Clevedon and then make a trip to the cinema, which offers hours of entertainment right on our doorstep. 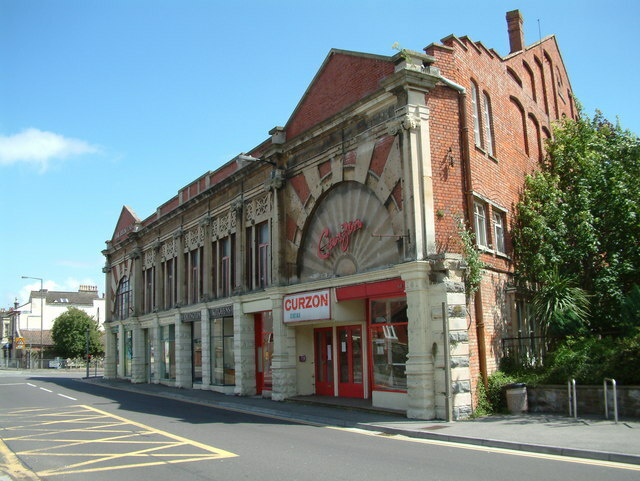 Explore the Curzon Cinema with a guided tour and learn all about the history behind the historic cinema. Their guided tours give you the opportunity to revel in the timeless architecture, marvel at the magnificent auditorium and take a glimpse at the historic film equipment. Be sure to check the Curzon calendar during your stay at our hotel in Clevedon. The cinema often welcomes side-splitting comedians to perform live in the auditorium, alongside hosting live Q&A’s with well-known film producers and directors. Stand-up comedian, poet and improviser, Phill Jupitus is bringing his Juplicity tour to the Curzon on 26th May 2018, so be sure to add that date into your diaries for an evening of laughter and entertainment. Please see website for tickets and event information. Live theatre performances are often screened live into the cinema. If you are a fan of the Royal Opera, check-in at the Curzon on 7th February 2018, as the fantasic ‘Tosca’ will be streamed live into the Cinema. Another firm favourite is The Royal Ballet’s ‘The Winter’s Tale’, which will be on screen on 28th February 2018. Please see website for further information on live streamings. The cinema plays a selection of new film releases, documentaries and old-time classics. Don’t worry parents, there’s something for the little ones too, as once a month the cinema offers a Curzon Kids experience. Children can come along to the cinema, watch a fun film and create works of art inspired by the screening. When visiting Clevedon, why not book to stay at the Walton Park Hotel? Our hotel occupies a spectacular cliff top location overlooking the Severn Estuary and is only 1 mile from the historical Curzon Cinema & Arts. Book direct for the best rates call us on 01275 874253 today.